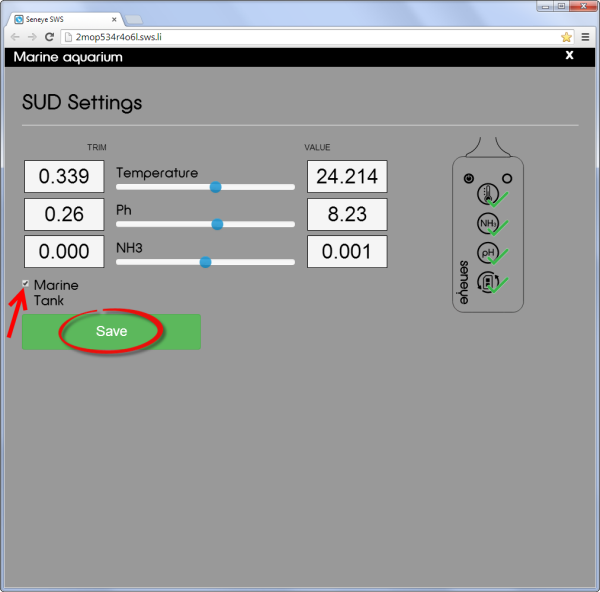 You can adjust the output for individual parameters from the SUD by clicking for a short time on the SUD settings tile. This will bring up the menu below. 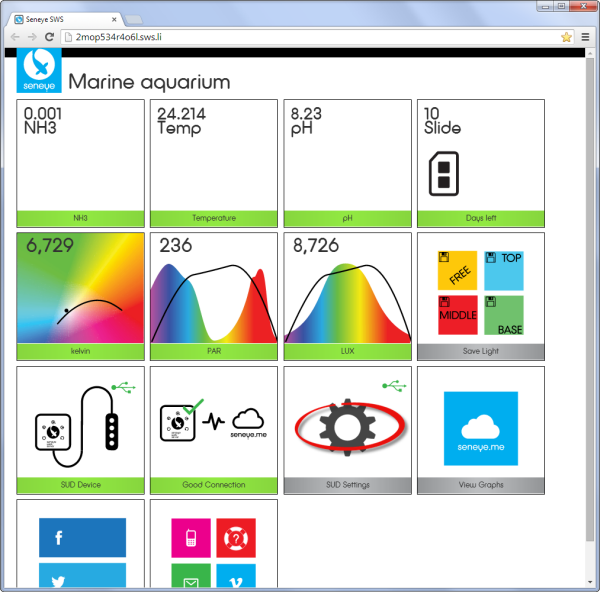 This allows you to make minor adjustments for each individual reading by using the blue sliders. The reading and the trimmed value are shown on the right-hand side.